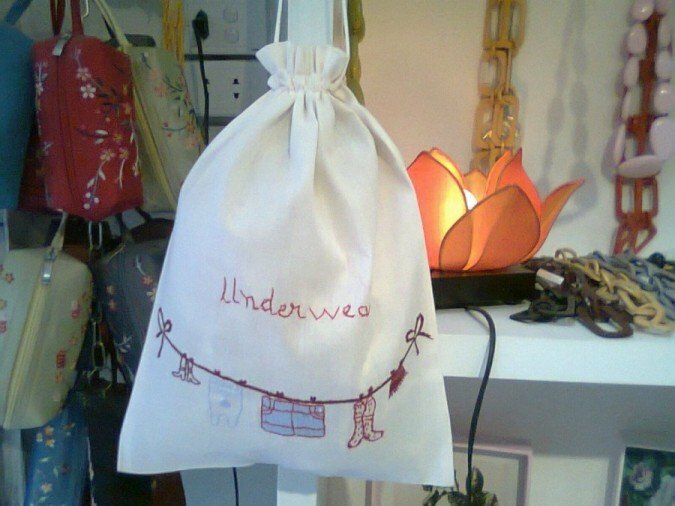 Lingerie bag in cotton with hand embroidery. There are many different colors and embroidery for your choice. The measurement is 38 x 40 cm.